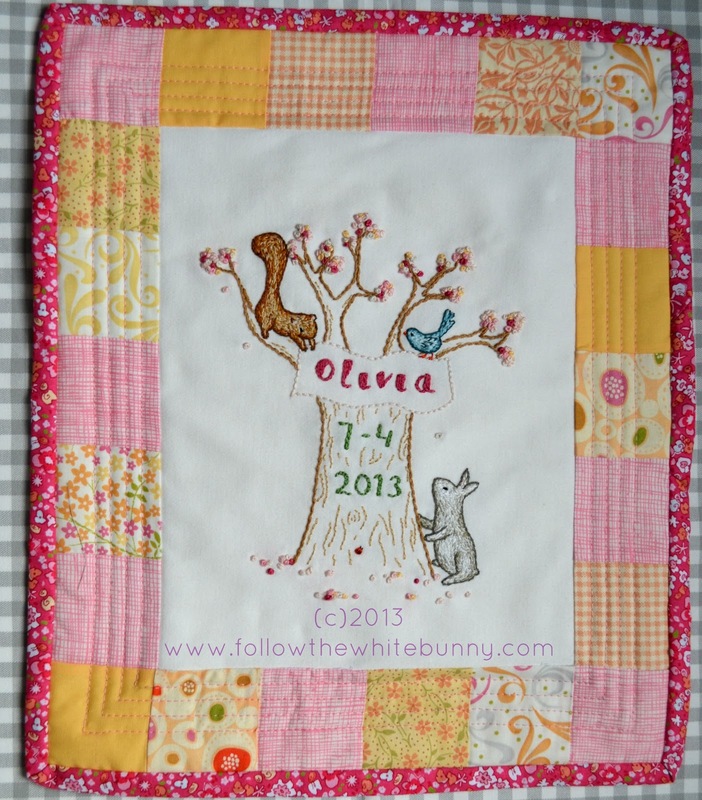 Follow the White Bunny: Blossom Tree Pattern is here! 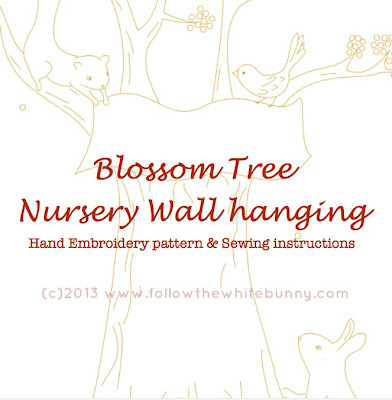 Blossom Tree Pattern is here! 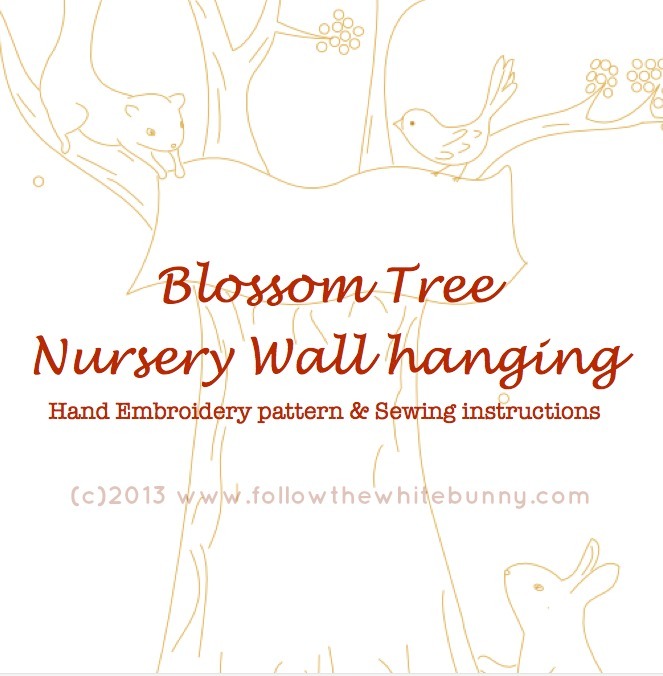 My new pattern Blossom Tree Nursery Wall Hanging is finished and in the shop! This 10 page PDF pattern has a stitch and colour key (and tips for stitching furry creatures!) 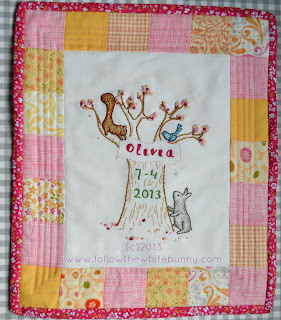 as well as instructions on how to make a sweet quilted wall hanging with your embroidery. Some (not a lot) sewing/quilting experience would be helpful with that though.